Tingling with the prospect of goosebump-inducing scenery, this two-week self-drive wastes no time taking you deep into Iceland's wild west – and beyond to sublime Siglufjordur and Lake Myvatn in the north. Sandwiched in the middle of it all is an in-depth exploration of the West Fjords – that tantalizing peninsula dangling off the northwest tip of Iceland and riddled with surprises around every one of its myriad corners. Unravelling from the West Fjords, the road leads east, passing the dragon-shaped sea stack of Hvitserkur before reaching the peaceful fishing village of Siglufjordur. 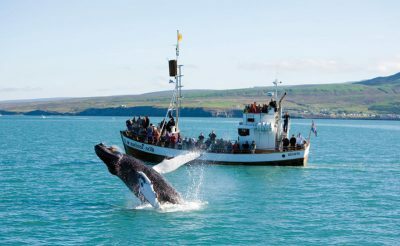 Whale watching is possible from Akureyri and Husavik, while birds and bubbling mud pools steal the show at Myvatn. Arrive at Keflavik Airport, collect your rental vehicle and drive to Hvalfjordur and on to Reykholt, visiting Iceland’s largest geothermal area at Deildartunguhver. Don’t miss the beautiful Hraunfossar waterfall, emerging from under moss-covered lava in a series of rivulets. 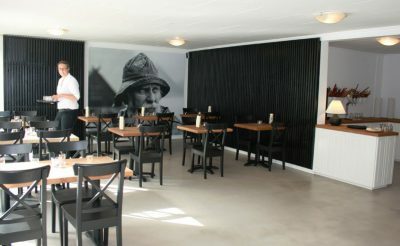 At Reykholt, you can find out about medieval history and the Icelandic Sagas at the Snorrastofa cultural centre. Historian, writer and law-speaker Snorri Sturluson lived in the area from 1206-41. 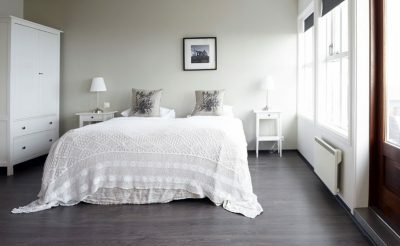 Continue to Husafell where you’ll spend the following two nights at the stylish Hotel Husafell. Rising to about 1,450m, Iceland’s second largest icecap is the setting for an extraordinary adventure exploring a manmade tunnel cut deep into the glacier’s blue ice. 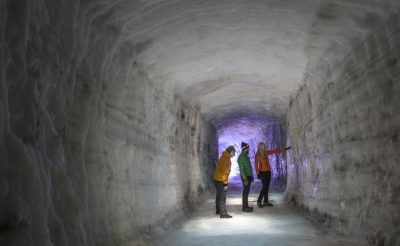 The optional ‘Into the Glacier’ tour begins with a journey in an 8WD supertruck across the surface of Langjokull before venturing on foot into the 500m-long ice tunnel. 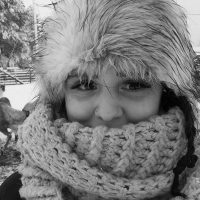 Led by an experienced guide, you will not only discover how icecaps are created, but you will also witness amazing natural and manmade features, from crevasses to a subterranean ice chapel. Back at Husafell, spend time relaxing in the outdoor complex of geothermal pools. Overnight at Hotel Husafell. The spectacular Snaefellsness Peninsula beckons today. It’s a stunning drive from Husafell, tracing Iceland’s west coast before branching off onto the narrow, mountainous peninsula that points into the Atlantic like a bony finger. You can drive all the way around Snaefellsness, admiring the 1,446m-tall, snow-capped volcano that rises from its tip. The dramatic coastline of sea arches, basalt cliffs, black-sand beaches and blowholes is best appreciated on the walk between Arnarstapi and Hellnar where you’ll also find a couple of excellent cafés! The following two nights are spent on the Snaefellsness Peninsula. Continue exploring the Snaefellsnes Peninsula, perhaps joining one of the optional whale watching trips from Olafsvik harbour. 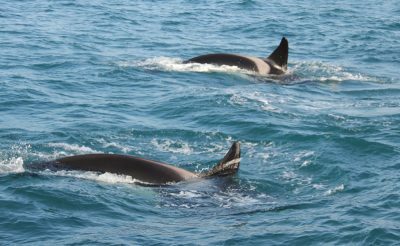 A boat trip not only offers opportunities for spotting sperm whales and orca, but it provides a superb vantage from which to admire the mountainous spine of the Snaefellsnes. 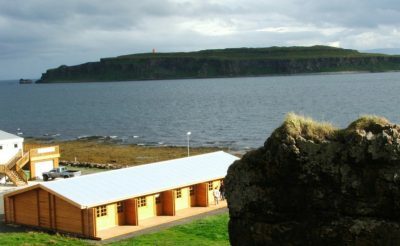 Take a ferry from the north coast of the Snaefellsnes Peninsula through the islands and skerries of Breidafjordur bay to the West Fjords – one of Iceland’s most spectacular and least visited regions. Highlights today include the incredible 400m-high sea cliffs at Latrabjarg (high-rise accommodation for millions of puffins, gannets, guillemots and other seabirds) and the unusual red-sand beach at Raudisandur. Drive to Patreksfjordur for an overnight stay. Spend time enjoying the mesmerising scenery of the West Fjords. There are natural wonders almost around every corner. Don’t miss the seven-tiered, fan-shaped waterfall at Dynjandi before continuing to Isafjordur, the largest town in the region where you will spend the following two nights. Explore Isafjordur and perhaps take a drive to the nearby town of Bolungarvík, scaling Bolafjall Mountain for stunning views. Spend the day snaking around the fjords to Drangsnes and north along the spectacular Strandir coast. This remote and haunting stretch of coast notches the West fjords’ eastern spine north of Holmavik – Iceland’s greatest sorcerer is said to have once lived in the shadow of its towering crags. 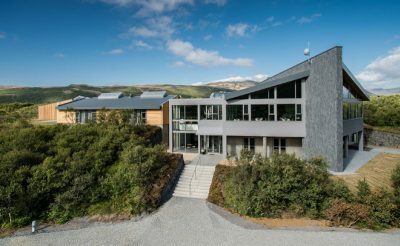 Return to Drangsnes for an overnight at Hotel Malarhorn where you can relax in the hot tubs by the shore. From Hrutafjordur, drive along the northern shores to Siglufjordur. Take a detour to Hvitserkur, a 15m-high sea stack shaped like a dragon (or a rhino depending on your view). Check in to the delightful Hotel Siglo, right on the waterfront, for the following two nights. 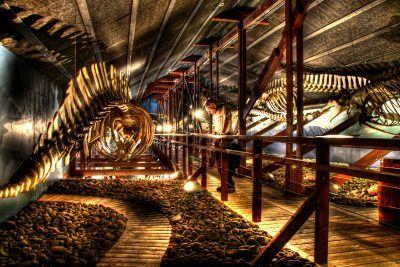 A day to relax, soaking up the atmosphere of Hotel Siglo, taking an optional boat trip in the fjord or delving into the interesting maritime museum. Take a leisurely drive to Akureyri, the capital of North Iceland. 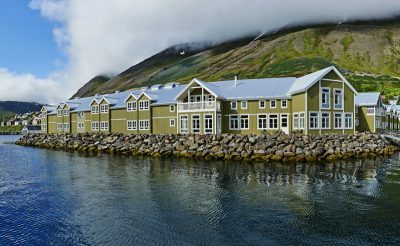 Explore the colourful town with its shops, restaurants and botanic garden or set off on an optional whale watching boat trip, venturing into Eyjafjordur in search of humpbacks. Overnight in Akureyri. Drive to Myvatn, stopping at the impressive horseshoe-shaped Godafoss waterfall along the way. More natural wonders can be found around Lake Myvatn itself – from troll-shaped lava formations and pseudocraters to boiling mudpools and the Krafla volcano. 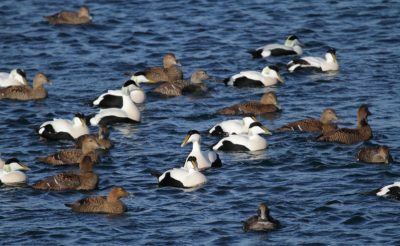 In spring and early summer, the lake supports a wide range of nesting birds, including the red-throated diver and harlequin duck. Slightly further afield, the mighty Dettifoss waterfall roars through a wild canyon. Spend the following two nights in the Lake Myvatn area. Another day to explore the myriad wonders of Myvatn, perhaps including a detour north to Husavik. Departure point for whale watching trips in search of minke, humpback and blue whales in Skjalfandi bay, the town also has an excellent whale museum and several excellent restaurants. 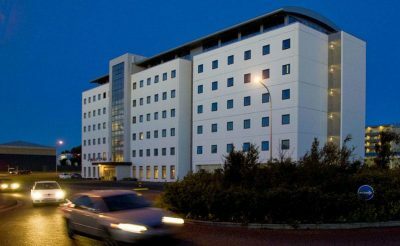 Drive to Akureyri Airport and drop off your rental vehicle before flying back to Reykjavik for an overnight stay. If you have a 4WD vehicle, suitable for Highland driving, it is possible to return via the Kjolur route to Reykjavik – another highlight on this unforgettable trip! Transfer to Keflavik International Airport for your return flight to the UK. 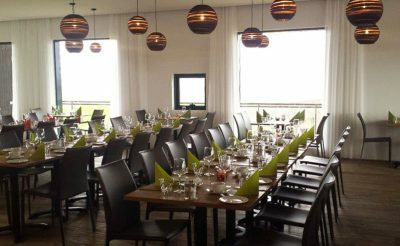 Located in the tiny village of Drangsnes, Hotel Malarhorn offers 14 double rooms in Iceland's rural western fjords. 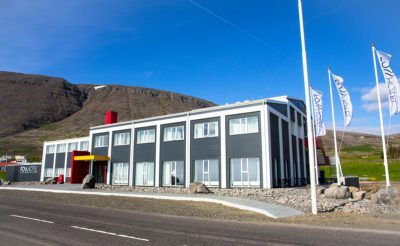 Located on a sleepy waterfront in Siglufjordur, this hotel offers a chic and stylish base for exploring Iceland's north. 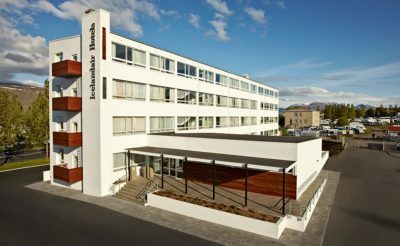 Icelandair Hotel Akureyri offers 101 comfortable, modern rooms in the northern town of Akureyri. Sail around the southern islands of Breidafjordur Bay, discovering strangely shaped cliffs, exceptionally strong tidal currents and seeing thousands of birds close up. 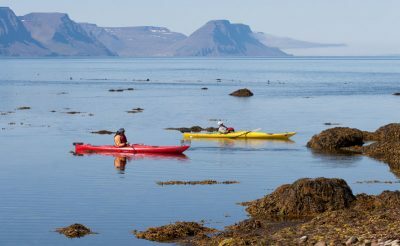 Kayaking the tranquil waterways between the mountains of the West Fjords is an unforgettable adventure.